Hi! Things are still pretty busy here so I'm just posting a quick birthday card that I made for a friend. 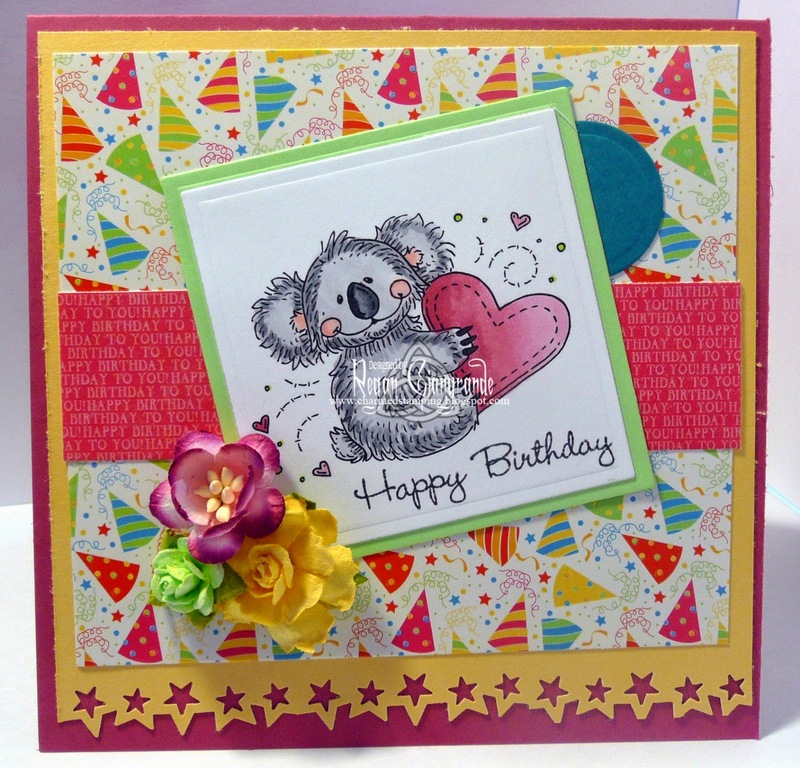 She loves koala bears and when she saw this image on Facebook a while ago I knew it would be her card this year. This cute little guy is Huggy Koala from Meljen's Designs. He is colored with Copics and cut using Classic Squares Nestabilities (Spellbinders). I also used the Classic Circles dies as well plus a Martha Stewart border punch. 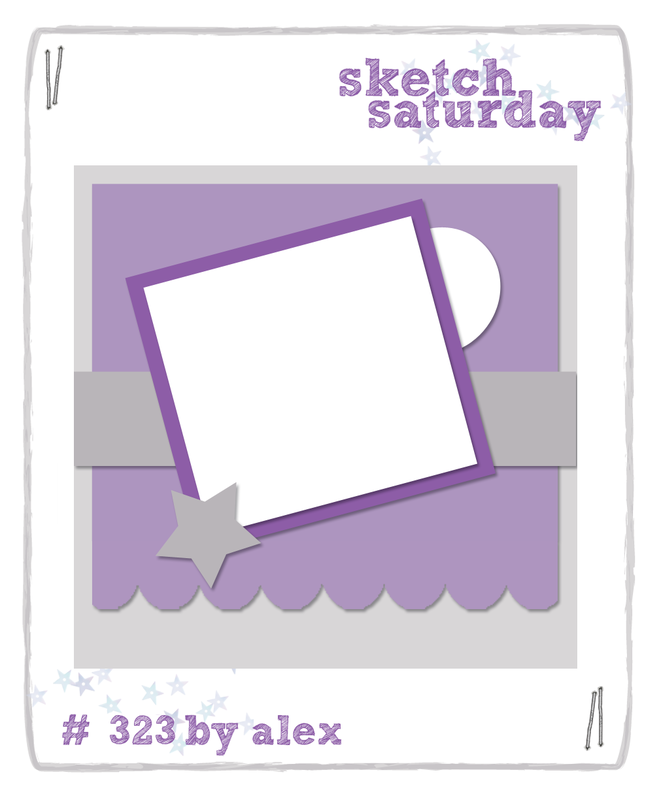 Sketch is from Sketch Saturday (#323). I kept embellishments simple, just adding a few flowers. Papers are DCWV - Birthday Wishes stack. Thanks for stopping by and hope you've had a wonderful week! Markers used: Copics (N0, N2, N4, R00, R20, R81, R83, R85, YG03). 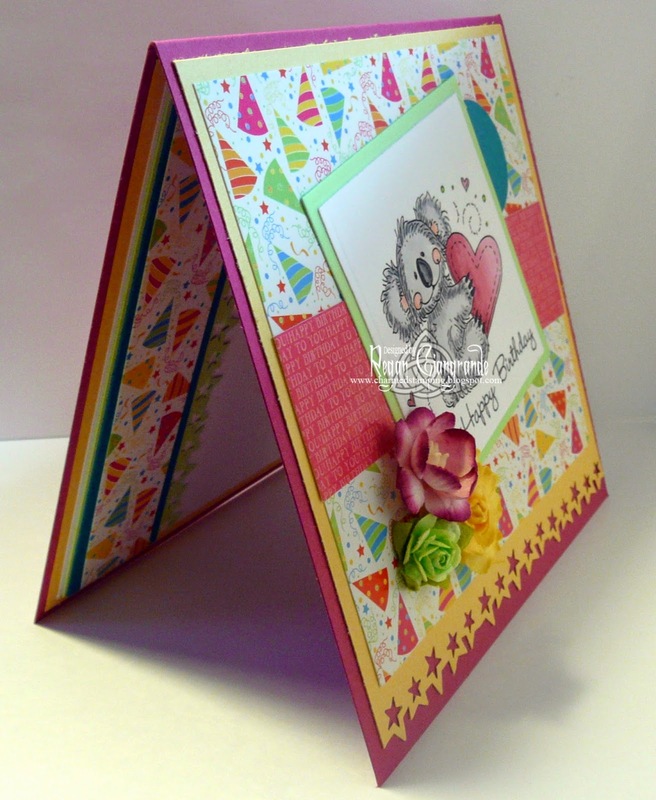 This is adorable Regan....love Meljen images & the papers you picked are so bright & cheerful! 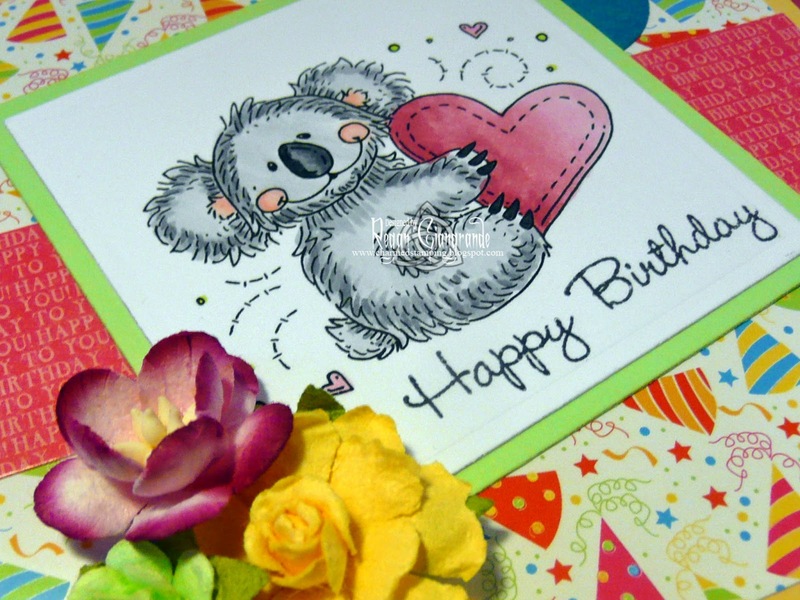 Adorable card and such a cute little koala!